We feel there is only one way to practice dentistry - with compassion, trust, and clinical excellence. Our Seattle dental care team looks forward to knowing you as friends as well as patients, providing you with top-quality dental care that you helps maintain and recover the health of your teeth and mouth. Our Seattle dentist goes the extra mile to ensure you are comfortable and relaxed during your appointment! We even offer stereo headphones to listen to music while enjoying a warm massage chair. Discover more of our dentistry services and see how we're making a visit to the dentist a better experience for our patients! Find a dentist in Seattle that's conveniently located to where you are at! 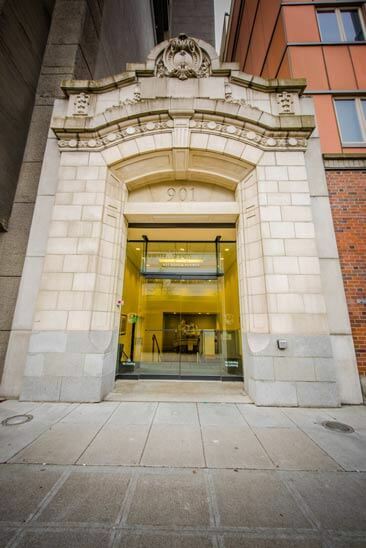 We are conveniently located on First Hill, catering to Belltown, Downtown Seattle, Queen Anne, Ballard, Capitol Hill and other neighboring areas. A parking garage is attached to the building for your convenience. It is the goal for our dental care to meet or exceed the needs of each patient through a unique blend of skills, insight, understanding, and artistry. Please call our Seattle dentist with any questions you may have about our office or the services that we provide. Make your dental care appointment today!